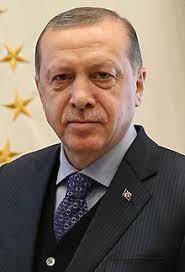 JERUSALEM, Israel – An article in a Turkish paper with close ties to Turkey’s President Recep Tayyip Erdogan exposes the regime’s desire to form an “Army of Islam” to attack and destroy the State of Israel. The article calls on the 57 member nations of the Organization of Islamic Cooperation (OIC) throughout the Muslim world to join forces against the Israeli “occupiers” who would then be vastly outnumbered and unable to defend their country. According to MEMRI’s well-documented post, the article’s key points came from the website of Turkey’s SADAT International Defense and Consulting Company, which promotes pan-Islamic military cooperation. Citing Israeli security sources, MEMRI notes that SADAT provides funding and military equipment to Hamas in the Gaza Strip with the goal of creating a Palestinian army to fight Israel. The article in that Turkish daily, which is called Yeni Safak, describes Israel’s population (just over 8 million) and military forces “as significantly inferior,” noting that the population of Istanbul, Turkey’s capital, is more than 14 million. It continues. “Turkey alone is superior (to Israel)” and “will serve as an important headquarters during the operation due to its land, air and naval infrastructures.” And he says, Turkey is actively pursuing and renewing alliances with Muslim countries in the Middle East and Africa. “Those who believe that they are the owners of Jerusalem today will not find a single tree to hide behind tomorrow,” he concludes.